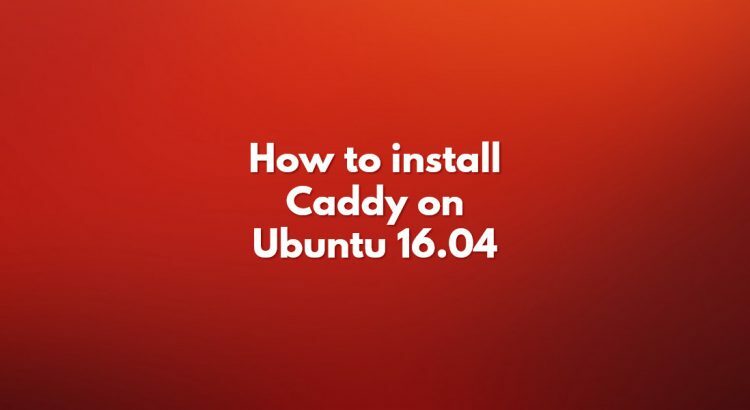 In this tutorial, we will show you how to install Caddy on a Ubuntu 16.04 VPS. Caddy is a modern, general-purpose, multi-platform web server which supports Virtual hosting, HTTP/2, IPv6, Markdown, WebSockets, FastCGI, automatic HTTPS via Let’s Encrypt, templates and more. This guide should work on other Linux VPS systems as well but was tested and written for an Ubuntu 16.04 VPS. Once the installation is completed, we need to add the cap_net_bind_servicecapability to the Caddy binary. This capability will allow the Caddy executable to bind to a port less than 1024. Next, create the directories where we will store the Caddy configuration file Caddyfile and SSL certificates. The term “Caddyfile” is a plaintext configuration file used to configure how Caddy works. This configuration file is very similar in purpose to httpd.conf in Apache or nginx.conf in Nginx. and add our domain to the Caddy configuration file. You can now access your domain at https://my-domain.com. For more information about how to manage your Caddy web server, please refer to the Caddy documentation. Of course, you don’t have to do any of this if you use one of our Server Setup and Optimization Services, in which case you can simply ask our expert Linux admins to install Caddy on your server for you. They are available 24×7 and will take care of your request immediately.